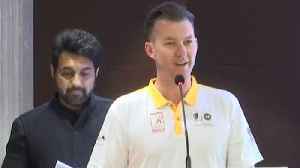 Ahead Of World Cup 2019, Former Australian Cricketer Brett Lee talked about India's future in Cricket and it's potential. 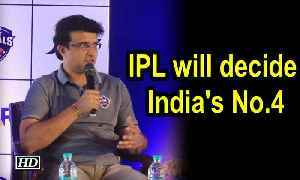 He States, My Dream is to find India's Fastest Bowler and it's good opportunity.. 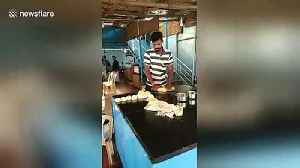 This talented paratha baker from south India doesn’t even look at his partner as he tosses the dough over his shoulder towards him. 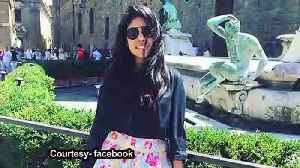 The ace baker was filmed on March 25 cooking at a roadside hotel..
Cricketer S. Sreesanth, who has had a tryst with showbiz too, says he has been approached to participate in dance reality TV show "Nach Baliye" with his wife, but he is yet to give a nod as he is..
Iconic cricketer Kapil Dev's daughter Amiya has turned Assistant Director for "'83", an upcoming Bollywood entertainer on India's historical 1983 Cricket World Cup win. 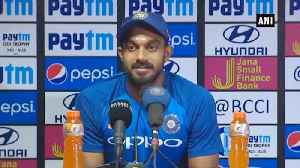 India opener Shikhar Dhawan, who has joined the rest of the Delhi Capitals squad after the ODI series against Australia, on Monday said he was looking to help younger players get used to the pressure.. 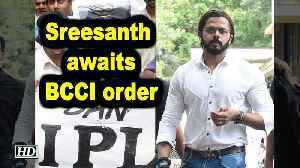 While the 12th edition of the Indian Premier League (IPL) is set to start in a week from now, there is tension brewing in South Africa as Cricket South Africa (CSA) is still undecided on when they wish..
With the Supreme Court on Friday quashing the life ban on former India cricketer S. Sreesanth and asking the Board of Control for Cricket in India (BCCI) to reconsider his punishment, his family.. 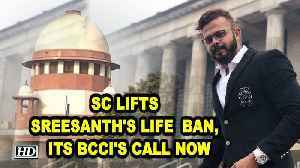 The Supreme Court on Friday cancelled life ban on India cricketer S. Sreesanth and asked the Board of Control for Cricket in India (BCCI) to reconsider his punishment. Former Australian skipper Michael Clarke has warned critics not to underestimate the importance of Mahendra Singh Dhoni to the Indian team following their 2-3 One-Day International (ODI) series loss to.. 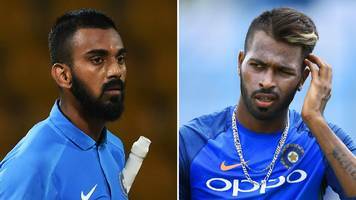 Going into the last match of the ODI series against Australia at the Feroz Shah Kotla in Delhi on Wednesday, Virat Kohli and his boys have pride at stake with the rubber tied at 2-2. 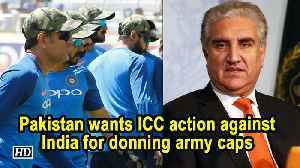 With Australia chasing down India’s total of 358 in the fourth ODI in Mohali and squaring the five-match series 2-2, pundits and fans have been quite critical of the performance of the Indian..
Pakistan Foreign Minister Shah Mehmood Qureshi on Saturday expressed disappointment at Indian cricket team's decision to don army camouflage caps during the third One-day International against..
A brilliant century by skipper Virat Kohli and an all-round effort by Vijay Shankar helped India beat Australia by 8 runs in the second One-Day International in Nagpur on Tuesday. Team India defeats Australia by 8 Runs to take lead of 2-0 in 5 match series. 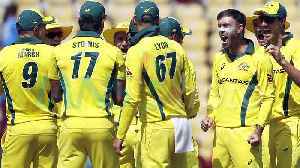 All rounder Vijay Shankar defended 10 runs in the final over by picking up the final two Australian wickets to win the.. 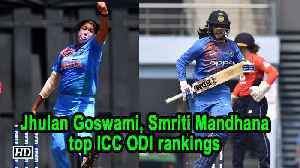 Veteran India pacer Jhulan Goswami has climbed to the top of the ICC women’s rankings for ODI bowlers after playing an influential role in India’s recent series victory over England. Former India captain Mahendra Singh Dhoni has become only the fourth Indian batsman to complete 13,000 runs in List A cricket. Dhoni has amassed 13,054 runs in 412 List A matches at an average of..
Getting the combination right for the World Cup will be the central theme when India take on Australia in a five-match ODI series starting on Saturday. 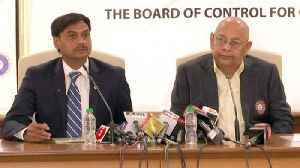 The conflict between India and Pakistan has taken dramatic turns and these are some scenarios many are preparing for.